The KV-S1037X network compact scanner delivers premium performance and space-saving design in abundance, offering scanning versatility that outdoes anything else in this scanning category. Alongside impressively compact dimensions, the KV-S1037 Series scanners deliver performance to match anything in the class. 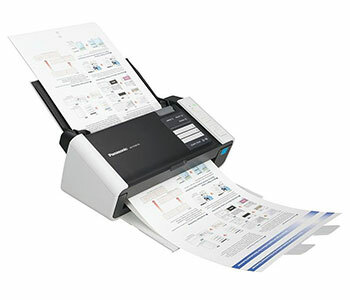 Alongside an auto-document feeder (ADF) capacity of 50 sheets, the two models scan at up to 30ppm/60ipm @300dpi in colour, giving you the same speeds for both binary and colour documents. In terms of document and media handling, the KV-S1037 Series scanners are more than a match for the competition. Both can scan paper and card weighing anything between 20-413gsm and offer passport scanning as standard. With unlimited long-paper capability, the scanners handle documents ranging from invoices and medical scripts to ID cards. With these compact scanners, you can eliminate the possibility of problematic scan settings. An integrated auto preview function automatically adjusts whatever is scanned, offering nine possible ‘candidate’ types. You can then select the most suitable image with a single click, making any further adjustments that might be required. So there’s no need to waste time going through a trial-and-error process and highly legible electronic documents are produced, quickly and easily. Also, to save you time and effort, an auto rescan feature allows the user to adjust the image on a PC screen without rescanning the original document. Document Size (Min) 1.9" x 2.1"
Document Size (Max) 8.5" x Unlimited"
Product Dimension 12" x 7" x 5.4"
DVD-ROM with Image Capture Plus, Presto! PageManager 9,Presto! BizCard 6, ISIS and TWAIN. 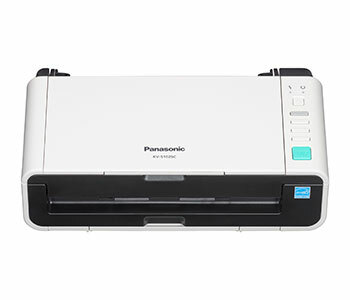 You can also order from Wholesale Scanners by calling 425-748-7155. Copyright © 2019 Wholesale Scanners Inc. All rights reserved.